I have been compensated in the form of a Best Buy Gift Card for this post. Happy weekend everyone! I’m still catching up on sleep after last weekend’s trip to Seattle. And I also am currently taking Tamiflu to fight off the suspected flu that I have. BLAH. Anyways, since it’s almost been 2 years since I graduated pharmacy school, I’ve finally decided it’s about time to think about the future. You know those phrases like “buying a house”. While it’s fun to think about and dream about, it’s also scary to think of all of the adulting that’s going to have to occur. There’s little things I take for granted such as appliances, like washers and dryers. Today I thought I would share an LG TwinWash set that I had learned about from Best Buy. The TwinWash system is equipped with the latest technology to give superior energy efficiency. What good is a washer and dryer combo if it consumes so much electricity that your bill goes up? No worries with the LG set though! This is hands down most important to me when buying a washer and dryer. 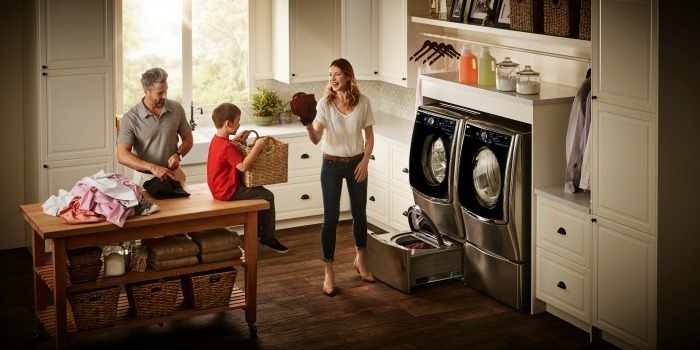 My favorite feature is the “LG SideKick Pedestal” that is a separate “mini washer” that is located below the drum. I can see myself using this for when I come home from the pharmacy and want to wash my scrubs during flu season, because then I won’t spread germs all around the house and onto other clothes. BEST part? You can wash a “mini load” of clothes while washing a regular load up top. GENIUS! I am a person who wants a quick and easy-to-use washer/dryer combo. 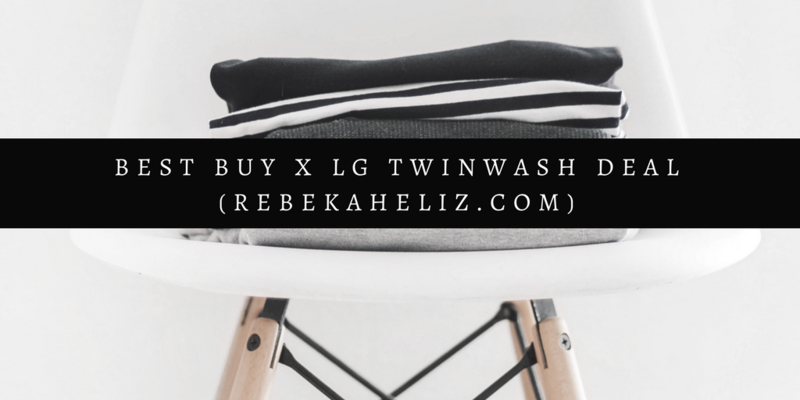 The LG TwinWash is easy enough for me to use and I can throw in a load on the way out the door in the morning. The wash cycles are easy to understand and great for all types of washing needs! DEAL: You can save $500 on LG sets HERE now through April 25th.